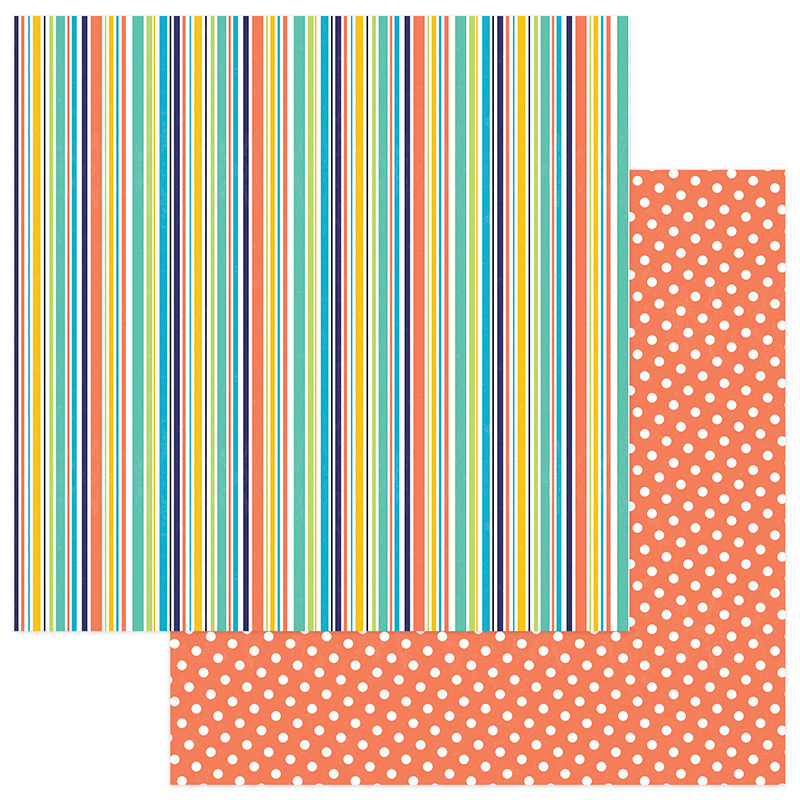 This 12x12 double sided Designer Paper has a multi-stripe design on the frontside. The reverse side has White Dots on an Orange Background. Look for coordinating papers. Part of the Party Animal Collection by PhotoPlay Paper.